When the Chinese Communist Party (CCP) started its massive campaign against Falun Gong, The Church of Almighty God, and other groups included in its list of xie jiao (“heterodox teachings”) in the second half of the 1990s, some scholars observed that this was the most massive suppression of religious movements China had witnessed since the campaign against Yiguandao (一贯道) in the 1950s. 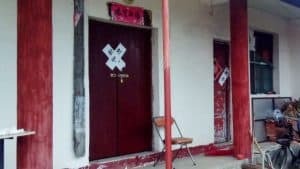 Indeed, the repression of Yiguandao has served in many respects as a model for what happened later. Hence the interest of Yiguandao, on which now excellent English-language studies such as those by Hong Kong scholar Edward Irons exist, for the observers of contemporary religion in China, even if its theology was very different from the beliefs of the groups most suppressed today. 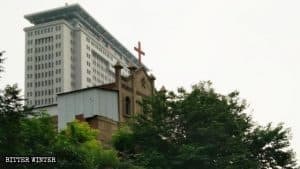 China has a long tradition of salvationist new religions, which connect salvation to the veneration of a specific deity through certain unique rituals. 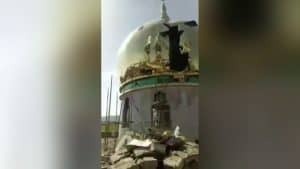 Some of these new religions recruited a lower class constituency, combined religion with social grievances against the Imperial power, and promoted riots and even revolutions. Hence the strict vigilance of Imperial China against these groups, most of which were repressed under the general name of “White Lotus.” Modern Western scholars demonstrated that, although a Buddhist movement called White Lotus existed in China in the Middle Ages, during the course of the Ming Dynasty era (1368–1644) “White Lotus” became a generic term, describing all the groups banned as “heterodox teachings” (xie jiao) rather than a specific movement. The terminology kept being used by the Qing Dynasty (1646–1912). 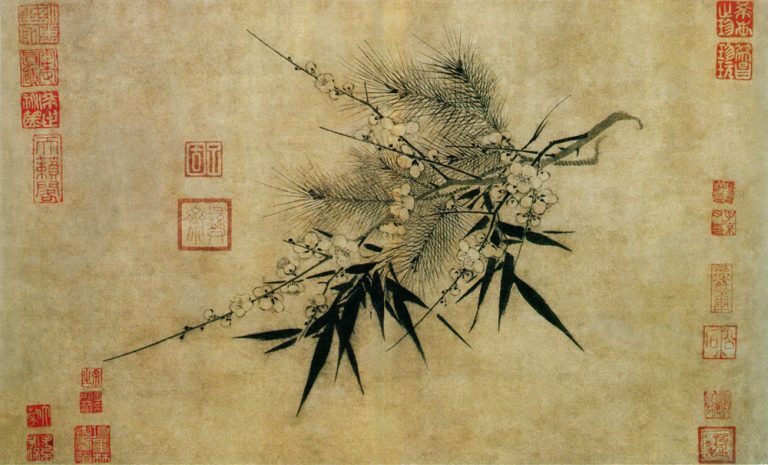 For all practical purposes, xie jiao and “White Lotus” were used as synonyms. One new religion accused of being part of the “White Lotus” and banned as a xie jiao in Qing China was Xiantiandao (先天道), whose remote origins are Medieval, although it took its present shape in the 18th century as a cult of the Ancient Mother, Wusheng Laomu (無生老母). She was said to have created all living beings and sent to Earth a succession of prophets, including Buddha Shakyamuni, to save humans and bring them back to Heaven. As do other Chinese non-Christian new religions, Xiantiandao relies heavily on messages from various spirits and the Ancient Mother herself, transmitted through automatic writing. Despite persecutions in China, Xiantiandao grew and expanded abroad. Its influence is clearly visible on Vietnam’s larger new religion, Cao Dai, which took shape in the 1920s. The fifteenth patriarch of Xiantiandao, Wang Jueyi (王觉一, 1832–1886? 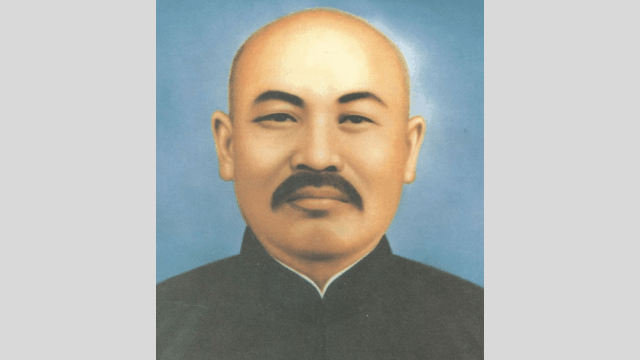 ), reformed the religion, or perhaps founded another group parallel to Xiantiandao, as Mohou Yizhujiao (Teachings of the Final Effort 末后一着教), although not all followers of the parent organization joined his reform. His successor, sixteenth patriarch Liu Qingxu (刘清虚, in office between 1886 and 1919), changed the name of the group to Yiguandao in 1905. He was succeeded by seventeenth Patriarch, Lu Zhongyi (路中一, 1849?–1925). When Lu died in 1925, after controversies about the succession, most followers of what was then a comparatively small movement accepted the leadership of Zhang Tianran (张天然, 1889–1947). Zhang married Sun Suzhen (孙素贞, also referred to as Sun Huiming 孙慧明, 1895–1975), the leader of another faction, and the two assumed together the title of eighteenth patriarchs. The couple simplified the rituals, while maintaining a taste for esoteric secrets and initiations, and presided over a phenomenal expansion of the religion. When Zhang died in 1947, some sources credited Yiguandao with twelve million members. Yiguandao continued to promote a rather exclusivist cult of the Ancient Mother (although Jesus, together with Buddha, was included among the prophets sent by her) and to rely on spirit messages, particularly transmitted through young girls and written on the sand (although not all branches, nor all leaders, favored this practice), keeping the tradition of Xiantiandao. It also strongly advocated vegetarianism. The fact that leading figures of the so-called Reorganized National Government of the Republic of China (中華民國國民政府), a collaborationist government installed by Japanese invaders in Eastern China, joined Yiguandao, did not endear the religion to the Nationalists, who banned it as xie jiao in 1946 and later reiterated the ban in Taiwan, where the group was able to exist again legally only in 1987.
latter term was also used and the persecution launched by the Communists after they came to power in 1949 was very similar to late campaigns against the xie jiao. Hong Kong-based scholar David Palmer notes that, as it later happened with Falun Gong and The Church of Almighty God, “all forms of propaganda were deployed against it [Yiguandao], from editorials and speeches by Mao Zedong [1893–1976] published in the Peoples’ Daily and the rest of the press, to posters, comics, exhibits, denunciation assemblies and even theatrical performances. The name Yiguandao became a synonym of the counterrevolutionary sect and even a favored insult used by children in schoolyards.” The persecution “reached its climax in 1953 and 1954, during which, according to police reports, 820,000 leaders and organizers, and 13 million followers” were arrested, with thousands killed in the CCP’s jails. 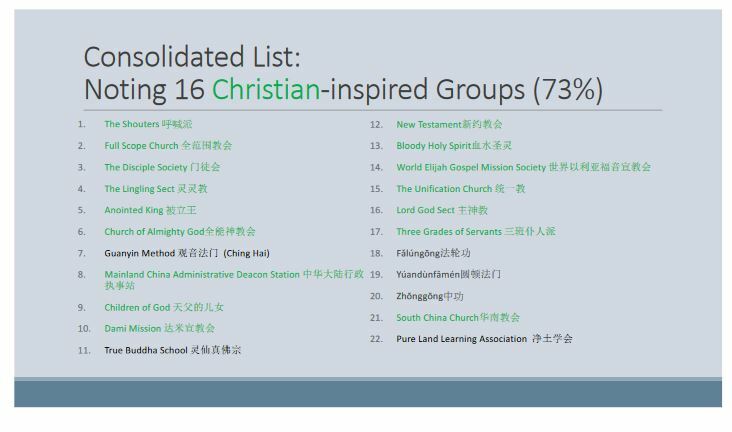 These numbers were so high that Palmer and other scholars suspect that members of other religious groups were arrested and even executed with the false charge of being part of Yiguandao. The persecution was also successful. Yiguandao was almost totally eradicated in Mainland China, although it survived in Hong Kong, Taiwan (notwithstanding the legal restrictions), Singapore, Thailand, and South Korea, with branches established also in the West among the Chinese diaspora. 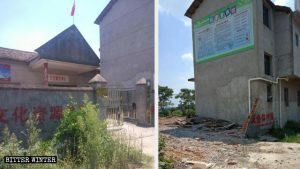 Divided in numerous independent branches, so that no central organization can claim to control Yiguandao today, the religion maintains some 2,5 million members outside Mainland China. In Taiwan, prominent businessmen are members, and it has a significant presence in the network of vegetarian restaurants. 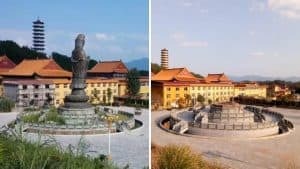 Since some of Yiguandao’s Taiwanese businessmen have invested significantly in China, in the 21st century the religion has quietly returned to the Mainland. It has been occasionally criticized as a xie jiao, but is not included in the official list of the xie jiao. 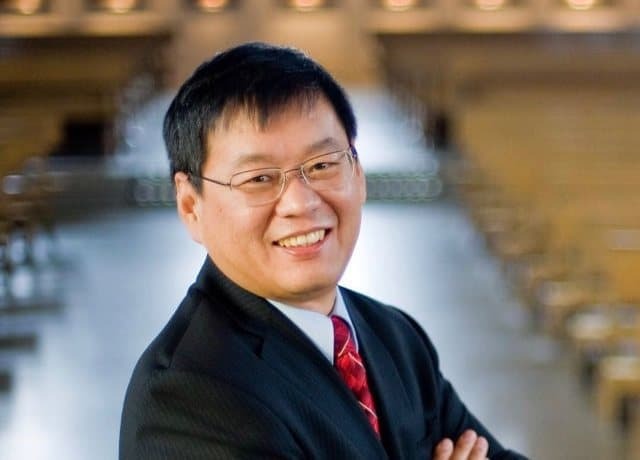 Media and scholars have mentioned confidential discussions, favored by Taiwanese businessmen, to give to Yiguandao some sort of legal existence in China, although these efforts are now made more difficult by President Xi Jinping’s renewed crackdown on all religions.